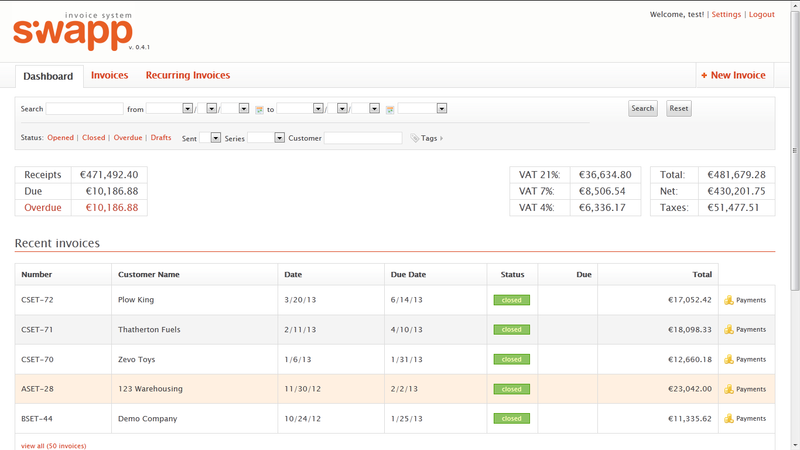 Siwapp is a free invoicing software. It has friendly web environment that lets you install it on a local computer and also in internet or other network server. It is not a secret that for small and medium size business one of the biggest overheads many times is money that is spent on computers software. Many times this software has more that what actually the small and medium business needs or they are not exactly what the business needs. My objective is not to write about all the free software alternatives for everything you might want to do. 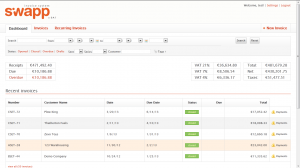 So, Let’s talk particularly invoicing applications. Any established software that you might buy for invoicing can cost between 2000 and 4000 BWP to buy a license for only one computer. Sometimes that is simply to much for some companies and business people and remember that I said for only one computer, imagine if you have to buy for a few computers. It normally puts some extra pressure on the shoulders of the business. Otherwise can’t say that free software has better or worse quality than payed software, every software has it’s advantages and disadvantages. So sometimes is better to find exactly what you need. If your business requires invoicing software and not much more probably Siwapp can help you to get in the market without a big overheads on software. If you require some extra features, then you can research on internet or find someone to research for you to find the right software that you need. No more and not less than what you need; something made exactly for you. That might cost even less than buying licenses for the software available in the local market just because it’s what everyone buys. You can check Siwapp online demo to login you should use test as username and as the password. Visit the official website for the software. The software was developed using Symfony one of the best PHP frameworks in the market, I have installed it my self for some customers and it works perfectly. 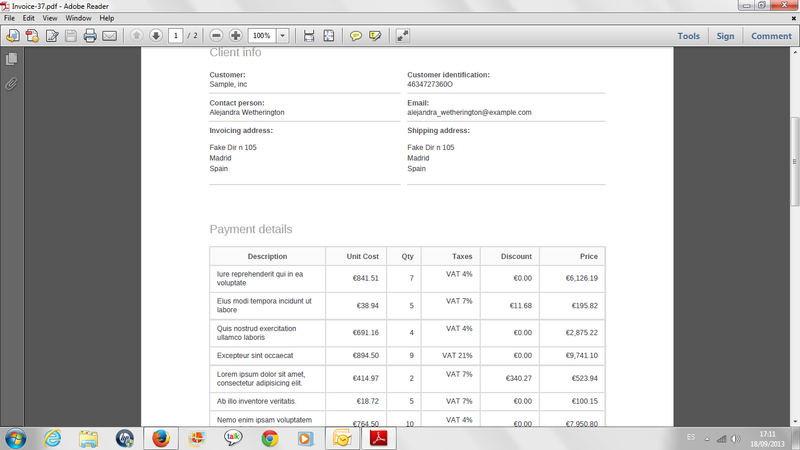 Siwapp has a lot of good features for invoicing, probably you might be interested on reading more about it on the software website let’s just take one f them, PDF invoices very clean and easy to print and email, check out the picture on the right bottom. Enjoy and do not hesitate to contact me for feedback or help. This entry was posted in Apache, Development, Linux, PHP, Symfony, Tips, Windows by abel. Bookmark the permalink. I find your software very good. 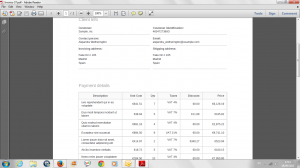 I have not found out how to do this: I have made an invoice for a client, and would like to avoid rewriting all this same clients administrative data (which is easy to do with Macinvoice). Could you tip me about how to do that, please ? Thank you. This a is very old and outdated post. The product I described here evolved to not be open-source and free anymore if i remember correctly. If I can help you with some current solutions, please feel free to post how could I help you. I keep this here for historical reason only.